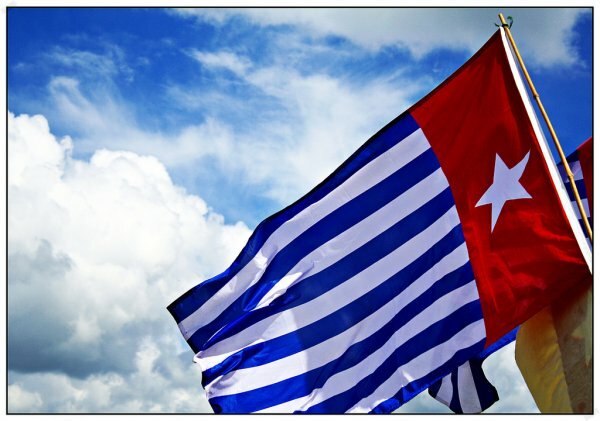 The West Papua Association in Australia is concerned about that the new anti-terrorist law, which could be implemented against activists in Australia. The new law would mean those seen to be encouraging or promoting terrorism would be in breach, and concerns have been raised that this could include the Free West Papua movement in Australia. Indonesia has been fighting a prolonged rebellion in Papua in part by using anti-terror forces. An Association spokesperson, Joe Collins, says the Australian law is highly unlikely to affect the West Papua activists, as there is so much support for them building in Australia. But he says Indonesia and Australia's growing relationship could mean the law becomes of concern. "It certainly is on the Australian radar that West Papua is an issue. More people in Australia are becoming aware of it, and I think this is the last thing the Australian government wants. Which is why any sort of anti-terrorism laws is of concern, because one day it could be used against them (activists), highly unlikely, but once it is on the books it is very hard to get anything off." An AWPA spokesperson, Joe Collins.